This article misses the point. The backlash against GMO products has occurred primarily because of the heavy use of glyphosate, an herbicide, on the plants, and not because of the genetic makeup of the plants themselves. 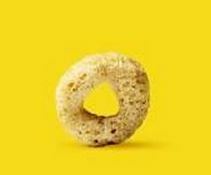 By going non-GMO, Cheerios has at least removed most or all residues of this toxin from their product. And if consumers vote with their pocketbooks, we can see more glyphosate-free products on grocery shelves. In this way we will be following the lead of the Europeans, who have said no to GMOs. For information on glyphosate and its effects on people and the environment, see the articles of Joseph Mercola, a medical doctor. I have to take exception with your conclusion that tripotassium phosphate is not harmful. Perhaps, this is true for most people. My son, however, gets violent diarrhea each time he eats Cheerios. We have ruled out the other ingredients. He has no nut allergy and does not seem to be sensitive to gluten. He is lactose intolerant, but uses only almond milk on cereal. Cereals without this ingredient don’t make him ill.
Actuall Potassium Phosphate isn’t as dangerous as you state. Its actually a salt and used highly in pharmaceutical industry. I think you’re mixing up the ingredient, trisodium phosphalte TSP is a powerful cleaning agent, which is contained in few cereal products, although NOT contained in CHEERIOS. Cheerios contains triPOTASSIUM phosphate NOT triSODIUM phosphate. To Nancy….fruity cheerios does contain tsp. Multigrain contains tripotassium. Just a quick point: Does tsp or tpp occur in any amount in any food that can be grown, slaughtered or caught? In other words, is it real food or just an additive for our processed foods lifestyle?